In their video for "The Dragon," Whitherward—an indie folk duo from Nashville that’s been on continual tour since they left a couple of years ago—filmed in Cambria’s Nitt Witt Ridge of all places. The weird, folk-art house constructed by reclusive artist Arthur “Art” Harold Beal (aka, Der Tinkerpaw or Captain Nitt Witt), who was a Cambria garbage collector in the ’40s and ’50s, is made of recycled materials, concrete, and a whole lot of junk. Think of it as the anti-Hearst Castle. DYNAMIC DUO : Indie folk act Whitherward (Ashley E. Norton and Edward A. Williams) brings their eclectic sounds to the Morro Bay Wine Seller on Feb. 17. In the video, Ashley E. Norton sings about her inner dragon as the film cuts creepily between interior shots of Nitt Witt Ridge and a deserted woods, giving it an intense horror film feeling. She’s accompanied by Edward A. Williams, her musical partner in crime. The feeling and tone of the song stands in sharp contrast to their other locally filmed video for “Hand of Fate,” which finds the duo hamming it up around Morro Bay near Morro Rock, the giant chessboard, and other local landmarks. The two videos do an excellent job of illustrating how diverse this pair is—there’s no easy, pithy way to sum up their sound other than that it’s original and un-nameable! The videos are extremely cool looking, the work of filmmaker Howard Ignatius, who’s working with the duo again this month for a third video to be released with their fifth collection, The Anchor. If you’ve been paying attention, you’ll notice that Whitherward has been playing a ton of shows this month, mostly in Morro Bay and Paso Robles. This Friday, Feb. 17, Whitherward will play the Morro Bay Wine Seller (6 p.m.; $10), bringing along Arizona-based musicians Patrick Hershey on upright bass and Stephanie Groot on violin. Their DIY ethos is nothing short of amazing, and Norton calls her duo a band on the run because they abandoned their old life and took the plunge. I think their hard work is paying off. The duo’s dueling guitars and vocal interplay is fantastic, and they’ll be drawing material from their four previous EPs, their upcoming release The Anchor, and classics by artists such as Simon and Garfunkel, The Beatles, Fleetwood Mac, Neil Young, and more. Check their website for other local shows, and check out their videos online! 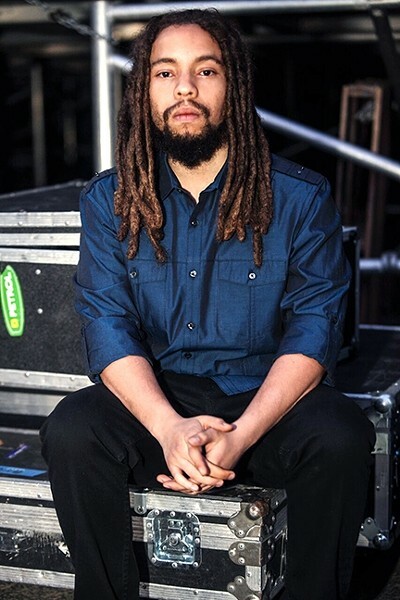 BOB'S GRANDSON: Rising reggae star Jo Mersa Marley (pictured) opens for J Boog at the Fremont Theater on Feb. 22. I’m starting to wonder if anyone in Bob Marley’s family can’t play music? His wife and all his kids—they all play—and so does at least one grandson. This Wednesday, Feb. 22, Bob’s grandson Jo Mersa Marley plays the Fremont Theater (7 p.m.; all ages; $21 presale at ticketfly.com or $23 at the door), where he’ll open for J Boog (Jerry Afemata), the reggae singer of Samoan descent who was born in Long Beach and raised in Compton. J Boog’s been through town several times, but this is our first look at Jo Mersa, a 24-year-old rising reggae star who just dropped his new single “Private Beach Party” and is prepping for his debut album this year. Joseph “Jo Mersa” Marley, son of Stephen Marley, was born in Kingston, Jamaica, but moved to Miami at age 11. He grew up around music, and by age 4, he was appearing onstage alongside his father, his uncle Ziggy, and aunts Cedella and Sharon as part of Ziggy Marley and The Melody Makers. He released his debut EP Comfortable in 2014 on Ghetto Youths International, which spanned pop, hip-hop, EDM, and dancehall. Should be a cool show hosted by Numbskull and Good Medicine Presents, which is also bringing Lucero with special guest Esmé Patterson to the Fremont Theater on Friday, Feb. 17 (7 p.m.; all ages; $22 presale at ticketfly.com or $25 at the door). According to Lucero, which formed in 1998, they were growing tired of punk rock and metal and “We wanted to try our hand at country songs, or do our best Tom Waits/Pogues impersonation.” Unfortunately at the time, they couldn’t play their instruments, but after playing 250 shows a year, year after year, they got the hang of it. Good Medicine will also bring The Frights, The Garden, The Regrettes, and Pancho & The Wizard to Fremont next Thursday, Feb. 23 (7 p.m.; all ages; $15 presale at ticketfly.com or $16 at the door). Mark your calendar for a whole lotta rock! 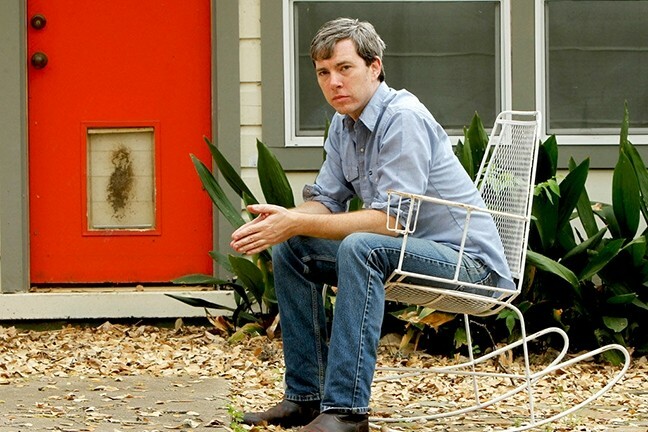 SMOG: Singer-songwriter Bill Callahan, who’s also recorded under the name Smog, plays the SLO Guild Hall on Feb. 17, as part of a Poetry Church event. Jazz vocalist Mary Anne Anderson and guitar aficionado Adam Levine will present an evening of “Smooth Jazz” at Cambria’s Pewter Plough Playhouse this Thursday, Feb. 16 (7:30 p.m.). This is the first of an ongoing series that will continue every third Thursday of the month. ROCK’S VOICE! : Cal Poly Arts presents award-winning rock vocalist Darlene Love at the Performing Arts Center on Feb. 18. The Growlers play the Fremont Theater on Sunday, Feb. 19 (8 p.m.; all ages; $20 presale at ticketfly.com or $25 at the door). They recently performed their hit single “I’ll Be Around” on The Ellen DeGeneres Show, with the host calling them one of her favorite bands of the year. Clearly, they’ve made it! It’s tricky to nail down their sound, but some call it “Beach Goth.” Think garage, surf, psychedelic rock played with style. The Clark Center presents singer-songwriter Pam Tillis in concert this Saturday, Feb. 18 (8 p.m.; all ages; $39 to $60 tickets at 489-9444 or online at clarkcenter.org). A child of country music royalty, her career has spanned everything from jazz and alternative country to Top 40. 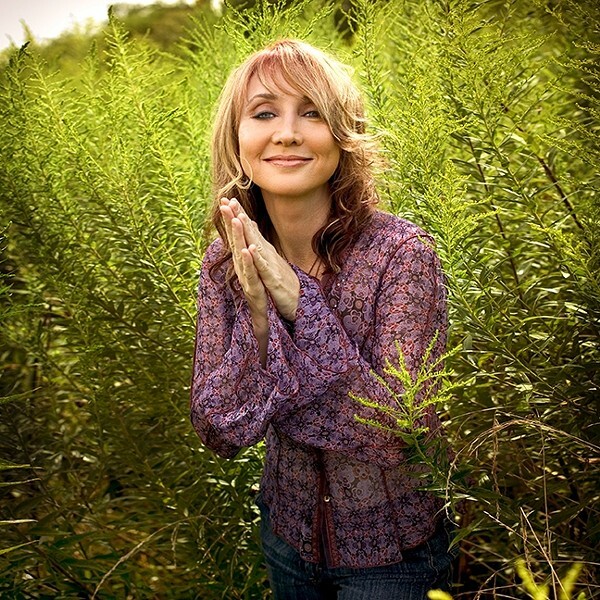 COUNTRY GAL: The Clark Center presents singer-songwriter Pam Tillis in concert on Feb. 18. SLO Brew has a couple of reggae acts lined up for you this week when Pacific Dub and Brewfish play the brewpub on Saturday, Feb. 18 (10 p.m.; 18-and-older; $10). Painted Sky Studios and the Famous Jazz Artist Series is presenting a benefit concert for the Central Coast Jazz Institute with jazz pianist Terry Trotter this Sunday, Feb. 19 (6:30 p.m.; all ages; $20; reservations recommended at charlie@talsanmusic.com or by phone at 927-0179). Trotter’s accompanied and recorded with Lena Horne, Natalie Cole, Frank Sinatra, Steve Lawrence and Edye Gorme, Chet Baker, Stan Getz, Joe Pass, and many others. Keegan Harshman will join in on bass, Darrell Voss on drums, and Charlie and Sandi Shoemake on vibes and vocals respectively. The Punknecks, a husband-and-wife duo from Nashville, play the Otter Rock Café this Sunday, Feb. 19 (7 p.m.). If you’re looking for some smoldering, boot-stompin’ rock played by a couple of dream-livin’ Vaudevillian musical outlaws, this is the show for you! MAD LOVE: Pop sensation JoJo plays the Fremont Theater on Feb. 20, as part of her Mad Love Tour. Pop sensation JoJo plays the Fremont Theater this Monday, Feb. 20, as part of her Mad Love Tour (8 p.m.; all ages; $25 to $125 tickets at ticketfly.com). She has recruited singer-songwriter Stanaj for all her U.S. dates. Her first full-length collection in 10 years, Mad Love, is her third consecutive release to debut among the top 10, and reached No. 1 on the iTunes Pop Chart, debuted at No. 2 on the Billboard Digital Album Chart, and No. 6 on the Billboard Top 200 Chart when it was released last October. 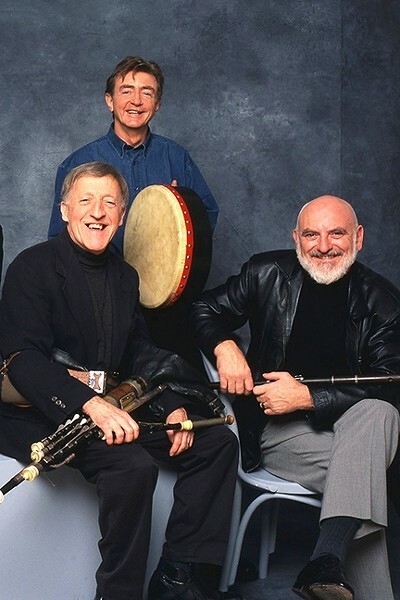 Paddy Moloney and The Chieftains will stop by the Performing Arts Center this Wednesday, Feb. 22, as part of their 55th anniversary tour (7:30 p.m.; all ages; tickets are $38.40 to $88, available by calling 756-4849 or online at calpolyarts.org). The six-time Grammy-winning Celtic group is widely praised for reinventing traditional Irish music. Local vocal ensemble Canzona joins them as special guests. “This tour will have all the musical force of what we’ve accumulated and achieved over the last 55 years, with a few extra gems thrown in for good measure,” Moloney said in press materials. 55 YEARS STRONG: The Chieftains will stop by the Performing Arts Center on Feb. 22, as part of their 55th anniversary tour.